“You need to be foreign, selling wigs or pachinko machines in order to be well paid as an executive in Japan”, I said in a blog post last year, when Toyo Keizai crunched their amazing database again and came out with pay differentials for TSE listed Japanese companies,, finding that foreign executives at Nissan and Takeda, as well as presidents of Artnature (the wig company) or Universal Entertainment (pachinko) are the best paid. To which I will now add, “or retire”. 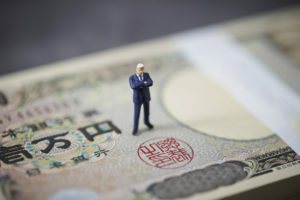 Japan pays even humble managers nice big retirement bonuses, so I guess it’s no surpise that these are even more generous, if you’re a retiring executive – moving from President to Chairman particularly. Toyo Keizai has crunched the numbers again, this time focusing on individual executives rather than companies. Sony‘s former President, now Chairman Kaz Hirai comes out top with Y2.7bn/$24m total package, thanks to his large retirement pay off and performance bonus. After that, it’s mostly non-Japanese again – number 2 is Joe DePinto, President of the 7-11 convenience store chain (the holding company 7 & I is Japanese) with Y2.4bn, then three board directors at SoftBank – Ron Fisher, Marcelo Claure and Rajeev Misra – the President of Softbank ‘s mobile side, Ken Miyauchi, is at #12. If you’re wondering about Masayoshi Son, the founder of SoftBank, he doesn’t feature in Toyo Keizai’s Top 100, as he was only paid $1.2m. Eduardo Minardi at #6 is another retiree, this time from Bridgestone. Christophe Weber, the CEO of Takeda Pharma, is at #7 (his fellow board member and CMO Andy Plump is at #34). Kinya Seto, president of LIXIL, is at #8 and another retiree, Ryota Akazawa, former president (and a member of the founding family) at Fuso Chemical is #9. Didier Leroy at Toyota is #10 (Akio Toyoda, President of Toyota is at #52). For more details, the Nikkei Asian Review reported in English on a similar analysis by Tokyo Shoko Research earlier this year, which you can find here. Side note for Japanese corporate governance buffs, there are a LOT of Tokyo Electron executives in the Top 100 – at least 10. Tokyo Electron forms about 40% of Tokyo Broadcasting’s securities portfolio, and caused UK based shareholder activists Asset Value Investors to call TBS “an amateur fund with a small broadcasting business” and demand that they sell off their Tokyo Electron shares. Last updated by Pernille Rudlin at September 5, 2018 .